With Movies on Demand, you can get some movies the day that they are released in the theater, some before the DVD is released, and there are even some of the movies that are free. Best of all, you get to watch the movies at home without dealing with the hassle of a babysitter. Which movies would you choose to watch? Look at all of the different December movies to choose from. Look at all the Holiday Titles Coming!! Are you ready to win a December prize pack with the following? Just share your favorite Holiday memory or favorite title from the lists above. I am most excited to watch Ice Age: Continental Drift. I’m excited to watch Beasts of the Southern Wild. Elf – by far, most hilarious. I’d love to see TED! Christmas Story and Christmas vacation!! Christmas movies especially Elf. I also want to see Trouble With the Curve. thank you! Grumpy Old Men, it helps me laugh the winter blues away!! I excited to watch National Lampoon’s Christmas Vacation in December. I like A Christmas Story. I can watch that over and over again. I really want to see Ted. Trouble With the Curve. Thanks for the giveaway. I look forward to seeing The Odd Life of Timothy Green. I really want to see The Odd Life of Timothy Green. I would love to watch Samanatha’s Christmas story, I loved American Girls so I would love to watch it with my daughter. 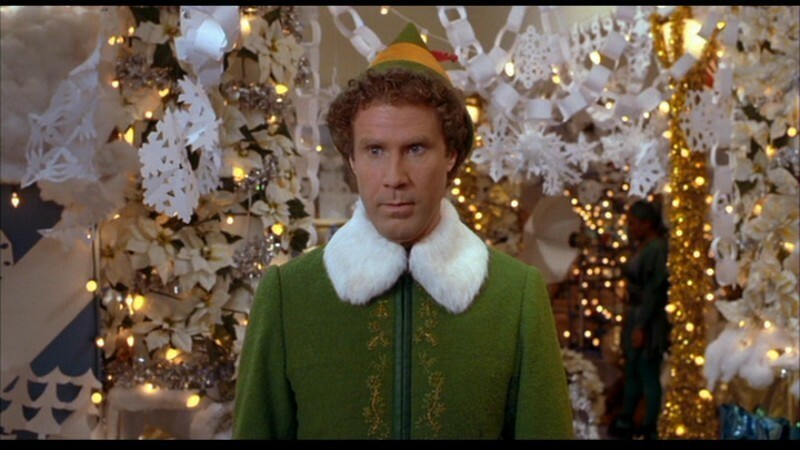 Elf is the one I want to see! I am most excited to see TED. It sounds really funny! I’m excited to watch Home Alone. I want to see Ted! want to see grumpy old men! My family is looking forward to Total Recall! I was most excited to see Ted! A Christmas Story and Christmas Vacation! I really want to see The Dark Knight Rises. I’m most excited to watch Ted. I want to see Ted, my kids say it’s hilarious! I want to see TED! The previews looks hilarious!! It’s not Christmas without Christmas Story. I’d love to watch Total Recall or The Bourne Legacy. Elf! Always a favorite with me ! I want to see 200 Cigarettes. I’m excited to watch A Christmas Story even though I watch it every year. I want to watch Hope Springs! I’d like to see Total Recall or Resident Evil. I want to see *Trouble With the Curve*. I would love to see either Hope Springs, or Looper. Trouble with a Curve and Wreck It Fred! The Odd Life of Timothy Green looks good. I would love to win The Odd Life of Timothy Green and I would enjoy it with a bowl of popcorn and a diet coke! I can’t get enough of A Christmas Story. I want to watch Trouble with the Curve. I’m most excited to watch Les Miserables! Elf always puts me in the Christmas spirit. A Christmas Story — I look forward to watching it on repeat on Christmas Eve every year! A Christmas Story. We watch it every year. I’m excited to watch A Christmas Story… again! I heard that the Odd Life of Timothy Green is real cute. We saw a lot of the December titles in theaters. But we haven’t seen Total Recall. We saw a lot of the December titles in theaters. But we haven’t seen TotalRecall. I’ve been wanting to see Elf! Christmas Vacation is at the top of the list. It never gets old for my son and daughter, so it never gets old for me. We also love Rudolph and Frosty. i’m most excited to see Charlie Brown Christmas! I would like to see The Odd Life of Timothy Green. I’m excited to watch A Christmas Story. I want to see The Hobbit in the theatre! At home, I’d like to watch Brave because I didn’t catch that while it was playing. I’m looking forward to seeing Love Actually. Of the ones on the list, Christmas in Connecticut! I would like to watch Diary of a Wimpy Kid 3: Dog Days with my daughter. I love so many movies but my all time favorites are Smokey Mountain Christmas with Dolly Parton, Elf, Christmas Vacation with Chevy Chase, White Christmas with Bing Crosby and Rosemary Clooney, Its A Wonderful Life and a few more. I’ve also been wanting to see Ben & Kate! A Very Harold & Kumar 3D Christmas!!! Home Alone is still my favorite Christmas movie of all time!